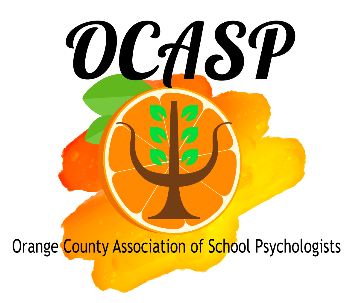 If you would like to become an OCASP member and join a network of school psychologists in your area, please visit our Join OCASP page. OCASP is walking in the Out of the Darkness Walk in Orange County on 9/22/18. to fight suicide and support AFSP's goal to reduce suicide rate by 20% by 2025. If you would like to donate to our cause click here. If you would like to participate, click here for details. 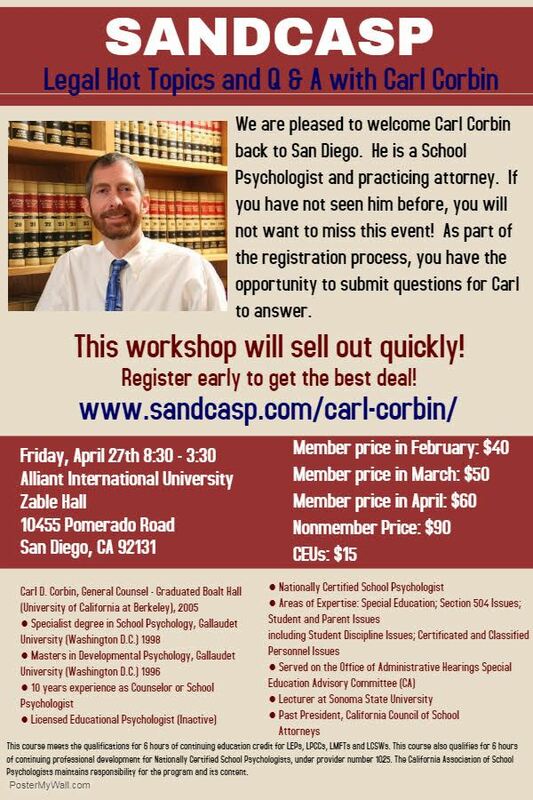 Our Spring Workshop is around the Corner! Register Here Today! 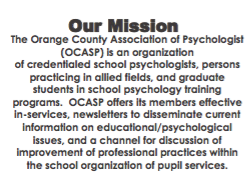 Orange County Association of School Psychologists (OCASP) is excited to begin this school year with you! 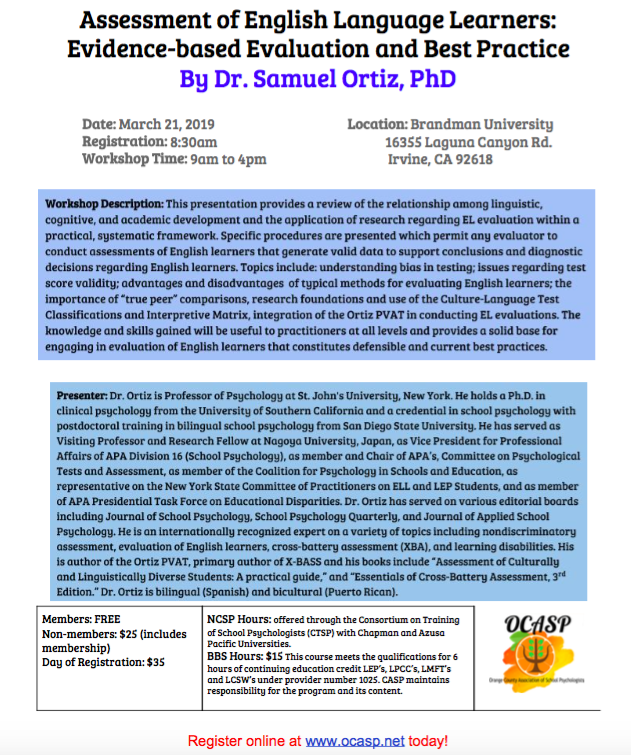 We are proud to be able to serve Orange County psychologists and educators in providing opportunities to grow in working with students. It is our belief that we can only become better in our field by our collaboration with others and our goal is to provide you with those experiences. As an affiliate of CASP, we hope to provide you with the same standards and professional learning opportunities locally. Join us for our workshops and activities throughout the school year. We are thrilled to be able to partner with you and grow in this field together. Have an exceptional school year! Take care and welcome back to another year! Check out these events hosted by affiliates in the area! 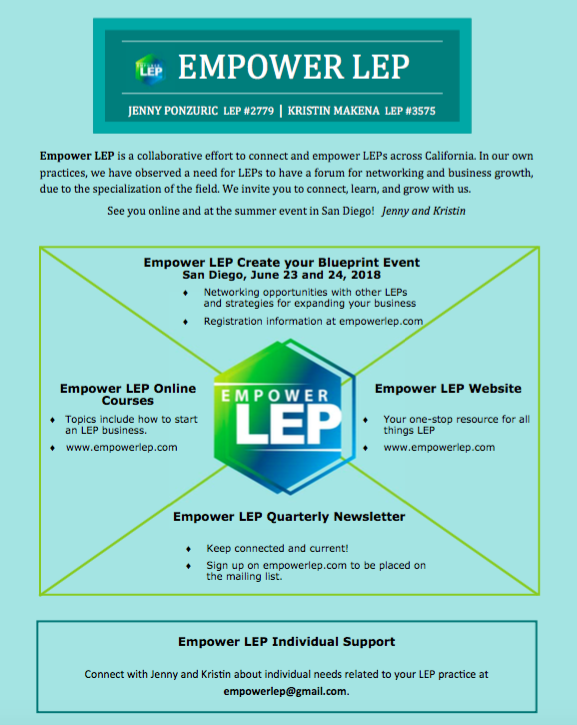 Connect with LEPs across California to grow and learn, with EMPOWER LEP. Check out opportunities and upcoming summer event hosted in San Diego. Early bird registration prices for signing up before the end of February. Register now!